REVIEW: NEW ZEALAND ARTIST FOREST DROPS HIS DEBUT EP ‘PURPOSE’ AND ITS ONE TO INSPIRE AND HAVE FUN TOO! Forest is an artist ready to showcase his musical talent and it’s refinery safe to say you need to have this in your playlist and playing at your parties! First track is the title of the whole EP and letting you know their is a ‘Purpose’,it also features Rei.A track so catchy your singing along after the first listen. Bold and fun which really gives you the expectation you was waiting for after he released track 4 ‘Animal’. A very ‘Different’ feel to track number two which brings back that old hip hop again. Vocals so appealing makes and lyrics so heartfelt, telling a story which is very inspiring and that it’s ok to be ‘Different. Then we have track 3 ‘Motivated’ which says it all in the title of this track. Lyrically and production so professional and easy to listen too! Track 4 ‘Animal’ before the beat kicks in you can really hear his vocals and they are wonderful. Then the beat kicks in and it surprises you in a fantastic way, he is an artist that is bringing back that old skool hip hop and I love it! The production / recording is so professional and I am so excited for the EP to get released. I think this is an EP that is fantastic and so inspiring in every track but has that edgy and fun vibe throughout to have it playing at your BBQ! That whole old skool hip hop vibe just gets me every time and Forest is an artist that can pull it off for sure. This entry was posted in announcement, DEBUT, Ep, interview, introducing, music, NEWS, Uncategorized and tagged Ep, Forest, fun, hip hop, inspiring, Music, new zealand, purpose, shortland street, Tane Williams. Bookmark the permalink. REVIEW: MARK SULLIVAN IS SET TO RELEASE ‘STILL GOOD FOR NOTHING ‘ ON MARCH 10TH BUT I GOT A SNEAK PREVIEW AND YOUR IN FOR A TREAT! Mark Sullivan is a singer and songwriter who has a passion for music since he was 15 and now here with his NEW EP set to release on March 10th 17! ‘Warm Your Bones’ is just one of those songs that you just sway a long to and really feel what is. Ring sang and in Marks vocals you can hear it’s personally to him which just makes you warm! With a low drum and guitar instrumental really adding something special to the song. Track two ‘Birds At Night’ a little higher and fun instrumental to start of this track. With Marks deep vocals coming through makes you smile straightaway. So rough yet so appealing when each lyric is sang. Lyrics again feel they have a personal message in but can still be related too by others. Track three ‘Take It Back’ has a very unusual and unique instrumental and gives the whole EP a different light to it which just surprises you in a good way! A three track with a mixture of messages and emotion yet something you all need to take a listen too! 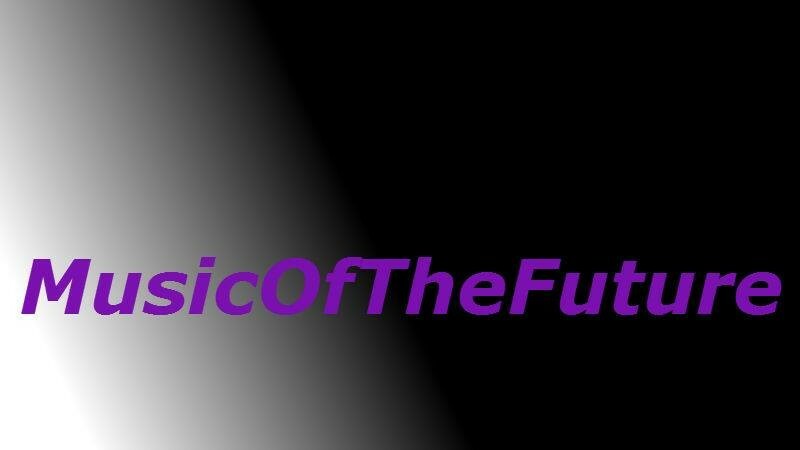 This entry was posted in announcement, Ep, introducing, music, NEWS and tagged Ep, fifth element, Mark Sullivan, Music, SINGLE, three tracks. Bookmark the permalink. How did you come up with the stage name ‘Studio Montaigne? Originally this project started at school and as a duo but the name was Montaigne. After I graduated my friend and I launched this project in London. I am from Paris and based there, I am a producer, composer and singer. Art is the most important thing to me. I guess it is a family affair. Some ep’s have been released with labels Cascine and Irradiant Hologram but Studio Montaigne is not a signed band yet. Your new Ep is called ‘Believe’ can you tell us more about it. We all need to believe in something. I guess I am just a believer. I composed and wrote “Believe” alone. 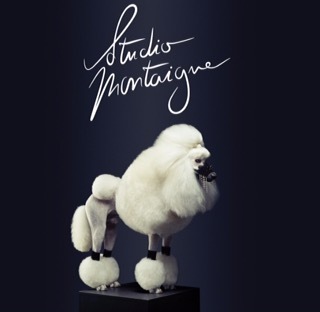 Studio Montaigne is a solo project. What was the recording process like? How was the writing process for the song? The process was quite old school. Just a piano and my voice, the goal for me was to keep this song minimal. Who did you play the EP to first? I like to share my new production with close friends. Some of them are musicians too and if they don’t like it, they always tell me for sure. Do you have any UK gigs or a tour coming up or in planning? Not yet but we would love to play the Uk when the time is right. if so where will you be heading? London for sure. I play the piano and synthesizer but I am self taught. It’s very eclectic: Raphael Saadiq, Disclosure, Duke Dumont, Paradis, French touch…. My inspirations are from love, or simple cool things. I hope my music is successful so I can live in an island in my amazing studio with a view of the sea. I am working on music all of the time. I am also working on a second musical project but it’s a secret right now..
Where is your dream venue to play in your hometown? It would be at the top of the Montparnasse Tower. Duke Dumont, I think he is a genius. One of my biggest dreams would be to work with Beyonce. What was the song you listened to most that encouraged you to get into the music scene? “Music sounds better with you” I was 12 when Stardust released this song, it has the best lyrics on earth to me! If you think you are able to sing, do it. Which show would you love your music to be played on? What advice would you give to any aspiring musicians not about the industry but just as an artist? Keep trying, don’t give up, be yourself. Probably the famous steak house “l’entrecote” you can order the best profiteroles. Studio Montaigne’s forthcoming EP Believe will be available from 3rd March from Parisian record label Irradiant Hologram with remixes from Employee of the Year, Tero and Chine Larcoche. This entry was posted in announcement, Ep, interview, introducing, music, NEWS and tagged Band, COMPOSER, HOUSE, Music, paris, pop, producer, project, singer, studio montaigne. Bookmark the permalink. Arno Sojo. I opted for the Sweet Gum Tree moniker in 2009 when initiating my solo project. I was born and raised in France, where I still live. I’ve been recording music and touring for a couple of decades already, mostly as a guitar player, in countless bands. At some point I set up Sojo Glider with my brother and my girlfriend, and we release three albums, notably “Man Sleeps To Forget”(2008, Discograph), which we recorded in New-York with producer Malcolm Burn (known for his work with Bob Dylan, Iggy Pop or Patti Smith, among others). The band barely survived this third LP and soon it made sense to go solo. No, I release the music through my own imprint, which has distribution deals with The Orchard for digital and Plastic Head for physical. You’re set to release a brand-new album, ‘Sustain The Illusion’, could you tell us the meaning behind the title? The title nods to Wes Anderson’s movie “The Grand Budapest Hotel”, itself based on the writings of Stefan Zweig about Europe sinking into barbarity in the 1930’s, which retains much relevance today. The illusion being referred to would be that of humanity. Hence the lyric bit in the song called The Gift : “If we cannot make this world humane, at least we can sustain the illusion with grace”. Try and describe each track in two words! Fresh, spontaneous, urgent, visceral, liberating. No written scores as opposed to the classically-arranged previous album. More heartfelt this time, less cerebral. After “The Snakes You Charm & The Wolves You Tame” and its cast of twenty plus musicians playing live, it felt weird and lonely but also playful to work on the initial home recordings. I had to rely on myself and technology to bring those new songs to life. I enjoyed getting to play a lot of different instruments : drums, keyboards and bass in addition to the guitars and vocals. I got myself a cheap analog drum machine, which was fun to use and sounded pretty good. As much as the previous record relied on acoustic textures and natural instruments, this time I enjoyed shaping sounds with otherworldly qualities. When I was ready to go to a proper studio I played the material to Irish producer David Odlum, as we’d planned from the start. He’s great at bringing out the best in you, never forcing things out, acting more like a revelator, with a lot of patience, understanding and sensitivity. With musicians Romy (keyboards) and Elise (violin) we went to do some live recordings for a couple of days at Studio Black Box, where David is a resident engineer. The last overdubs and the mixing were completed months after that, so we might have lost some momentum there, but we definitely gained perspective. We’re working on it, there are a few dates being scheduled for the Spring, but hopefully in the Fall I might be able to tour more extensively, fingers crossed. You have confirmed you are performing on the 5th April at The Good Ship, are you excited? Sure, London is my favourite travelling destination, and yet I’ve only played there once before. As humbling as it can be to perform in culturally rich cities, there’s also usually a better reception of the project. You have collaborated with some great names, Isobel of Belle &Sebastian, Earl Harvin of Tindersticks, and many more, what was it like to work with them? It was thrilling, rewarding, and kind of unreal. Working with those artists I admire took none of the magic away, and I’m glad I’ve got those recordings to remind me that I haven’t been dreaming. Their presence on the project felt like a validation of my ideas, and it helped me build a bit more self-confidence. They certainly enhanced the songs a great deal, but then so did every other musician I’ve had the pleasure to work with, famous or not. Did you receive any advice? Very little actually, perhaps out of respect for my own vision, which those musicians were trying to help me achieve, and it even strikes me that I never followed the rare piece of advice that was offered by those heroes of mine, like when Isobel Campbell suggested recording a French version of “Bird Of Passage” for instance. But then we’re both self-admitted control freaks ! What made you first go into music? I had an epiphany listening to Pink Floyd at the age of two, and since then, playing records, writing songs and performing them has been my main interest in life. Are you playing at any festivals this year? Not yet, but I’m still hoping to. What are your favourite instruments to play? Guitar first, and then piano. I got my first six-string at the age of three, and it’s been my obsession ever since. It’s hardly ever a conscious process, that’s the beauty of inspiration. The main ideas come out of the blue, knocking at your door. Suddenly a song is here for you to capture. Of course every creative mind is like a sponge and so you constantly absorb things, from life, from other works of art… Sooner or later some of that gets recycled one way or another, feeding your imagination. When you’re not involved in music, what do you like to do? Well… playing records, reading books, going to the movies, but most of all spending time with my son, this is the best part, the most fun. What was the song that made you want to go into the music scene? “Under The Milky Way” by Australian band The Church. As a teenager I recall standing spellbound for those 4:59 minutes of velvet underkill, and by the time the song ended, my life had changed : a part of myself that I didn’t know was there had been revealed to me, and all of a sudden I knew who I was, in all my human complexity. In terms of mood, texture, this song stood out at the time from other productions. I still can’t believe it became such a hit, but it paved the way for the belief that this kind of “melancholic” music, reflecting a particular set of values, not the most commonly shared, could still somehow, almost accidentally, seduce large audiences. If your music was featured in a TV show or Film which one would it be? I don’t know, it could end up in many places I think, not necessarily the most predictable ones. But someone should get “The Gift” featured in a romantic comedy, that might actually make sense. To remain true to myself. Become who you are, and don’t be afraid to value the things that make you special, different, and ultimately unique. There are many of them, but here’s a good one, from the Serenity Prayer by Reinhold Niebuhr : “To have the serenity to accept the things I cannot change, courage to change the things I can, and wisdom to know the difference”. This entry was posted in #album, announcement, Ep, Interview, introducing, music, NEWS and tagged adventerous .prescription pr, france, lp, sustain the illusion, Sweet Gum Tree. Bookmark the permalink.